The International Information System Security Certification Consortium (ISC)2 offers HealthCare Information Security and Privacy Practitioner (HCISPP) certification to healthcare industry individuals. The certification validates the individuals’ knowledge and skills regarding implementation, management, and assessment of privacy and security controls to protect the healthcare data (i-e patients’ health record). HCISPP is the ideal certification for those who are working or looking to build a career in the following positions. Candidates having a minimum of two years of work experience in at least one of the (ISC)2’s recommended domains are eligible for the certification. Of the two years of required work experience, candidates must have one year of experience in healthcare industry domain. According to the 2019 (ISC)2 curriculum, there are seven following domains that contribute to the HCISPP exam. The legal experience documents can be a substitute for compliance and information management experience for privacy. Those who don’t have the required work experience can also take the HCISPP exam. However, they are entitled as (ISC)2 associates until they acquire the two years of work experience. The experience must be gained within three years after taking the HCISPP exam. Following is a new exam outline for HCISPP certification effective from September 1, 2019. HCISPP exam contains a certain percentage of questions from each domain. The following table shows each domain’s contribution to the HCISPP exam. From the table, it can be noticed that Privacy and Security in Healthcare domain contribute most to the HCISPP exam. The mandatory Healthcare Industry domain contributes 12%. Information governance in healthcare is the least contributing domain. Following is a brief description of all the domains that are part of the HCISPP exam. Domain-1 Privacy and Security in Healthcare: 25% question in HCISPP exam are related to the privacy and security in healthcare. The following domain knowledge can help in attempting questions related to privacy and security in healthcare. Domain-2 Risk Management and Risk Assessment: HCISPP exam contains 20% questions related to risk management and risk assessment. Candidates should have the following knowledge and understanding of the domain. Domain-3 Regulatory and Standards Environment: Regulatory and Standards Environment domain contributes 15% to the exam. The domain covers the following knowledge and skill sets. Domain-4 Third-Party Risk Management: Third-Party risk management is another important domain added (15%) to the HCISPP exam. The candidates should have the following knowledge and skill sets about this domain in order to attempt the related questions in the HCISPP exam. Domain-5 Healthcare Industry: Healthcare industry is the most important domain of HCISPP. Although it contributes only 12% in the HCISPP exam, the candidate must have at least one year of work experience in Healthcare industry to take the exam. The candidates should have the following knowledge and skills to cover the healthcare industry domain. Domain- 6 Information Technologies in Healthcare: Another domain with 8% weight in the HCISPP exam is the information technologies in healthcare. Following domain information is important from the HCISPP exam point of view. Domain-7 Information Governance in Healthcare: Information governance in healthcare is the least contributing domain in HCISPP exam (only 5%). Users should have the following domain knowledge. HCISPP certification is valid for three years. The holders need to recertify every three years. HCISPP holders need to earn and submit 20 CPEs annually to maintain the certification. A total of 60 CPEs are required over a period of three years. (ISC)2 offers free CPE credit opportunities to those who attend webinars, events, or contribute to reading and writing tasks. Cyber Security, Information Security, Ethical Hacking… these are all the different words for a pretty much same thing. In reality, Security or say “Hacking” is not so glamorous like what we watch in fancy Hollywood Movies & Seasons but indeed it is the most dynamic, exciting, challenging and emerging field in the world and getting an entry level cyber security job is easier than you think. Unlike some other areas of Information Technology, there is unmet demand of Information security professionals in industry which is increasing day by day. According to some industry experts there will be more job vacancies in Information Security than in any other field in future. So its a good career option for you whether you’re a student, developer, sysadmin or whatever, as long as you’re passionate, excited and hard working folk, you’ll find it a creative, rewarding and fulfilling career option. Security is a broad field. There is need for people that build secure systems, people that hack systems, people that build solutions for security industry and a lot others. There are some major key roles described below according to the need of the industry. You need to look into yourself and find out which role fits for you the most. Offensive security experts are the Ethical Hackers who try to break into softwares, websites, computer networks, security solutions etc. They include Penetration testers, Red Teamers, Bug bounty hunters, Reverse Engineers and Vulnerability researchers. They have the mindset of a Black Hat Hacker with approach to find vulnerabilities and security loop hole of a system. Penetration testing, Red teaming or reverse engineering are authorized offensive approaches to identify vulnerabilities and possible threats to a target system or a network. The target system may be a server, website or a web application. The final goal of penetration test is to gain access to the target system or network to provide a clear picture of how an unauthorized person can get access to your system. A penetration tester tries to simulate real world attacks against the target system to find possible security holes. It can also be used to test an organization’s security policies and its employees’ security awareness. This process can be done manually or by using automated tools and vulnerability scanners. In short, Pentesters try to play the role of hackers and attempt to breach the target network, if breach is successful, they’ll report your system’s weaknesses, hence stopping black hat hackers from compromising or stealing your intellectual property. On the other hand, defensive security is about securing & patching the security loop holes identified by offensive operations. It involves Blue Teaming, SOC (Security Operation Center), Disaster recovery, threat mitigation, Secure Programming, Forensics Investigation etc. Their responsibility is to detect, identify the attacks and prevent it from happening by patching the vulnerabilities. Defensive security analyst deploy defensive solutions like IDS/IPS, Firewalls, defenders and monitor their logs regularly. If they identify any attack, they report it and patch it immediately. Afterwards, their responsibility is to clean any malware or backdoor and perform Forensics to analyze the potential of the attack. You’ll find a lot of website, Udemy courses and YouTube videos offering you to become an Ethical Hacker in one day but that’s not how it works. It takes months and years to become a true Cyber Security Professionals that knows ins and outs of the industry. Anyway, you should start with covering the basics of TCP/IP Networking, Routing, Web Programming, Databases, C/C++, Kali Linux, Bash and Python. After you gain some knowledge, try playing some beginner CTFs, breaking into Metasploitable, Damn Vulnerable Web Application (DVWA), Multidae and other resources offered by Rapid7 and OWASP. 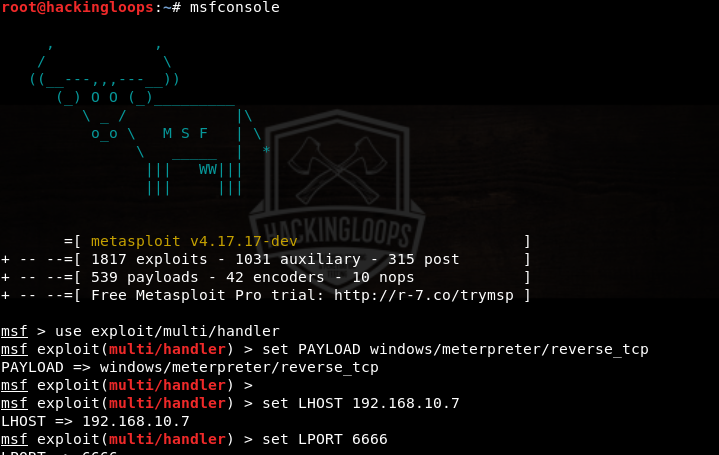 I recommend watching free tutorials of Metasploit and Security basics by Bucky Roberts (his YouTube channel link https://www.youtube.com/user/thenewboston). After you get some familiar with it there are some great Mega Premiers by Vivek Ramachandran (https://www.pentesteracademy.com/) which offer high quality educational content. If you have money, then you can buy some Udemy courses or you can go for a beginner certification. Certifications aren’t always necessary but they’re good if you want to go to a specific organization, they also help you stand out from the crowd. There are loads of certifications out there making it kind of confusing for people which one they should take. Here, we’ll review some famous & valuable certification available in the market, their requirements and their pros and cons. CEH a beginner level certification followed by CEH courseware which includes theory, lab manuals and some videos. It teaches you about basics of Pentesting, Malwares, Social Engineering, Cryptography, Cloud Computing and DOS attacks. Pros: Its a general certification which gives you a whole overview of both offensive and defensive aspects of Cyber Security. Cons: Its all theory, v10 got some practicals but that’s not sufficient enough to make you a Cyber Security Professional. Its another entry level certification like CEH but is more easy. Offensive Security Certified Professionals (OSCP) is a renown Offensive Security Certification followed by a course PWK (Penetration Testing with Kali). It teaches you all about Penetration testing and its methodologies. Its exam is 100% practical and consists of 5 machines that you have to hack, you need at least 70 out of 110 points to pass the certification. Pros: Its a difficult certification which needs hands on practice to pass it. It teaches you real world enumeration and exploitation techniques. Cons: Its more oriented towards Network Pen-testing and less focuses on Web Application vulnerabilities. Pros: It is the most recognized certification of Cyber Security, it gives you a broad overview of Cyber Security with some technical twists. Cons: Every one holding this certification has a broad knowledge of the field but he can’t expected to be a master of the industry. Kali Linux previously known as “BackTrack” is an open source GNU/LINUX distribution made for Penetration Testers, Forensics Investigators and security researchers. If you get into security then you’ll often hear of it because it is equipped with all the softwares and tools that are needed for security testing. It is based on “Debian Testing” and is used mainly for Penetration Testing and Security Auditing. You can use Kali Linux in virtual environments like Virtualbox and VMware or you can dual boot it with your existing Operating system. For more help, please refer to Kali Linux official documentation here. Kali Linux also has an open source penetration platform for Android devices called NetHunter. It has scripts and tools that are helpful in Penetration Testing, like Wireless Attacks, Evil Access Point Attacks, HID attacks, Bad USB attacks etc. Some similar distributions in this category are Parrot Security OS, DracOS and Black Arch Linux. So you have begun your journey of learning to code and are looking for some great coding projects… that’s great! We are going to show you what we think are the top 10 coding projects that will change your life. You may have picked up a book or two on the matter, watched a few – or a lot – of videos on YouTube, enrolled in a couple of coding courses… or you might even have a Computer Science Degree. Regardless of the path you’ve chosen, one thing is for certain: coding is an art, and you need to develop your skills constantly in order to get better at your craft. The best way to do so is to look for coding problems and projects that you can participate in, that make you think constantly and help you train your brain muscle. This problem is relatively simple to state. Write a program that prints out the numbers from 1 to 100. But for multiples of three print “Fizz” instead of the number and for the multiples of five print “Buzz” instead of the number. For numbers that are multiples of both three and five print “FizzBuzz”. This coding exercise is actually a regular interview question for programming jobs in the U.S., since most interviewees don’t have a deep understanding of logical thinking; thus providing an effective method for filtering quality candidates. Probably one of the oldest message security utilities ever, this is interesting because it will also teach you about cryptography. This method is named after Julius Caesar, the Roman Emperor, since he used it in his private correspondence to hide the messages he wanted to communicate. Even if you just run it on your own computer, building a website of your own is actually pretty helpful for learning about how website designs can be implemented, HTML, cascading style sheets (CSS), system administration, etc. Want to know more about the software that serves your website and its content? How about implementing a web browser on your own? Your website most likely runs on either the Apache or Nginx web server programs, so; what even better way to know how they work, than by implementing a similar solution yourself? For reference, you may wish to take a look at the Request for Comments (RFC) for HTTP version 1.1 (RFC2616). Remember, this is for HTTP, not HTTPS. For HTTPS, you may wish to check out RFC2818. You need to implement the interface of a Messenger application. You will need to create a Client and a Server. You should be able to connect several Client instances to a Server, and allow them to establish a connection so that they can send messages to each other. The server should be able to relay each message to its destination, with 2 or more Clients being able to message each other at the same time. Once this is done, you might also want to connect a group of Servers so that users on Server A can maintain conversations with users of, say, servers B or C.
This project is understandably complex. However, it will give you a better understanding about how Client-Server interactions work. Plus, it will teach you about concurrency by using Threads. Here’s a few examples for you to understand more about this project. Now, this isn’t meant to be as complicated as implementing all WordPress features – but it could be ;-) –, but it is intended to teach you a bit about converting files from one format to another. You’ll simply need to implement a blogging system that allows you to create blog entries using text files, which would then need to be converted into HTML files. These could be indexed in a landing page that would have links to, say, the 10 most recent posts; or all of them. There’s no need to implement a database for them, since this is simply meant to teach you about data conversion and formatting. To give you an idea of a working blog system, you can take a look at Luke Smith’s blog, and also to his lb repository on GitHub. Continuing from the Blog System, you could get into more complex web applications. The neat thing about this is that these kinds of projects can, if you play your cards right, even become a revenue stream for you; as long as you’re willing to dedicate enough time and effort to what you decide to go with. Want more ideas? Check out this link for more. Quick tip: no matter what language you decide to go with, make sure you investigate any libraries and Application Programming Interfaces (APIs) that could be useful for displaying game objects on screen. OpenGL would be a great example of such libraries. In case you’re really up for a challenge, you could choose to work on completing the Not Another Completely Heuristic Operating System project (a.k.a. Nachos), a project that was created to Computer Science students about the inner workings of operating systems. 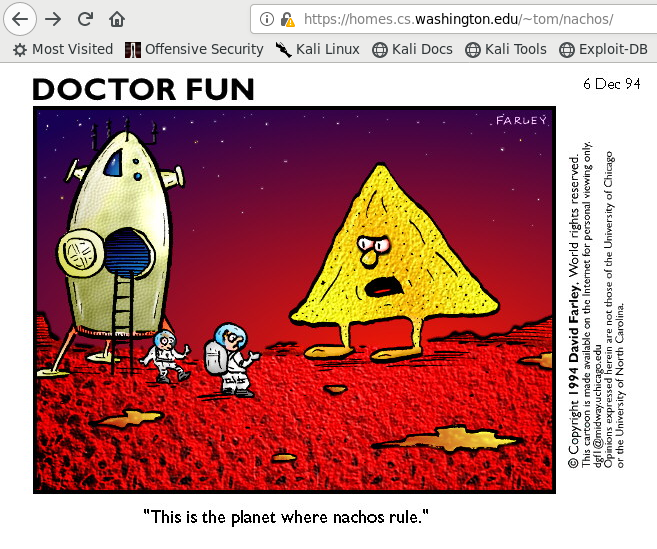 Nachos was created by Thomas Anderson at UC Berkeley, using the C programming language. However, due to portability limitations – it was meant for the x86 architecture –; a newer Java version of the project was developed in order to be able to run the project on other architectures. Ok, so Nachos may not be your thing… or you may have already completed it and are now looking for the next challenge: something you may actually use in real life. 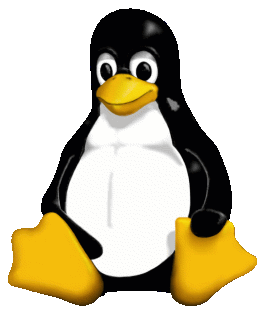 How about getting into development for the Linux Kernel? After all, the Linux Kernel powers servers all over the Web, network infrastructure, even the Stock Exchange has been running on Linux for at least a decade. If you know your way around C, you can download the Linux source code and look to find if there’s anything you wish to work on. Willing to give these projects a try? Have you converted any of them into your new company? Let us know in the comments below. Have fun!